Top Milk producing State in India: Largest / Highest Milk producing State in India is one of most frequently asked question in many exams and people always think that Gujarat is Top Milk producing state but they are wrong as largest Milk producing State in India - Uttar Pradesh (UP) not Gujarat. Uttar Pradesh, Rajasthan and Andhra Pradesh are top three milk producing states in India while Gujarat is 4th and Punjab stand 5th as per data updated upto January 2013 while Rajasthan enjoy 2nd Position in milk production. 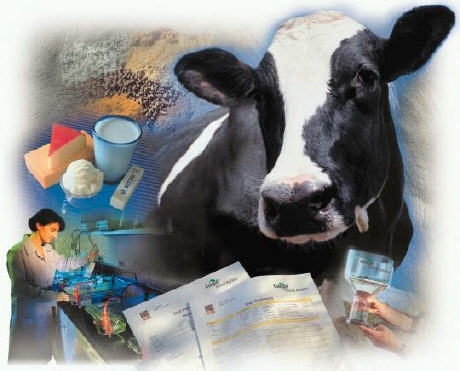 National Dairy Development Board (NDDB) official website www.nddb.org have data updated upto March 2012. Here is Milk production statistics of top 5 states in (000 tonnes). In January 2013, Gujarat has beaten Punjab in milk production by emerging as the fourth largest milk producing state of India, So Now Gujarat is 4th and Punjab is 5th.